Many parents are tempted to spend a lot to celebrate their children's birthday party. Some even go as far as hiring professional entertainers and gourmet caterers, and depending on family traditions, there can also be a massive pressure for parents to spend a lot for their kids. While these annual celebrations for your little-loved ones can get quite expensive, it need not always be that way. In fact, you can organise fun and unusual birthday celebrations for your little ones without spending too much at all! Here are eight thrifty ways you can celebrate your child's birthday party, and save a lot of money. Pre-made cakes you find at the groceries may all look "tasty" and "fine," but they can easily cost you anywhere between £20 to £50 and a customized cake can cost you even more, depending on the design and flavor. Instead of buying these expensive fine-looking cake, why not bake your child a cake from scratch. The best thing about this frugal child's birthday idea is your kid will notice you spend time making a cake for them, which will definitely make your effort all the more special. If you're running a small birthday party, you can use real (or paper) plates and utensils at the nearest local store to save on serving costs. Think of creative (and inexpensive) ways to decorate your kid's party. One of my favorite ways to decorate the party and make my kids feel special is to print photos of them throughout the year and put them on throughout the house - this is something I did for Tyler's 1st birthday and it was really lovely looking back at all his older photos. You don't need to put the photos just in frames either - instead you merely tape them on the walls, in fun patterns or peg them on lines of string - I did the latter. I bet almost all your guests will be talking about all those fun memories for weeks to come! Here's another creative idea you can use. Take some paper plates used for serving cakes and on each one of them write one letter of "Happy Birthday." Include your child and color the plates together, and make fun patterns. Then, hang those newly created paper decorations to make a homemade birthday decoration. Instead of purchasing those expensive themed party equipment, decorate those colored (or plain-looking) plates and cups with party stickers. Make sure that these stickers match your child's birthday party theme. Pinterest is also a great resource for finding lots of free printables in a whole host of themes and these can then be used as party decorations too. Sarah from Whimsical Mumblings had a DIY Moana themed birthday party for her daughter and it looks fab! The key to saving money on special occasions like these is to start planning as soon as you can. When you plan the event early, you don't risk exceeding your party budget. If you have two children with birthday's quite close together it's a great and thrifty idea to throw them a joint birthday party. Kellie from My Little Babóg, who has two children with birthdays less than two weeks apart says - "My two eldest children's birthdays are ten days apart so I combine the celebrations and give them a joint party. I basically get two for the price of one. We usually book a hall with bouncy castles and allow them both to invite their whole class". You can quickly and easily create and send digital (electronic) party invitations to your guests to save money as well as time. You'll save extra bucks on the cost of postage. If you want to thank all your guests for showing up at your kid's party by sending a thank-you card, grab a free, fun e-card. There are sites that offer great designs, and again, you'll save your time and costs on postage. A party bag is always a lovely thing to be able to give your party guests when all the fun and games are over and it's time to go home, but depending on how many people you have at the party, these can also be quite costly too. Here's a great post on how to make quality party bags at a fraction of the cost (under £1 each!) if you want to go the DIY route. 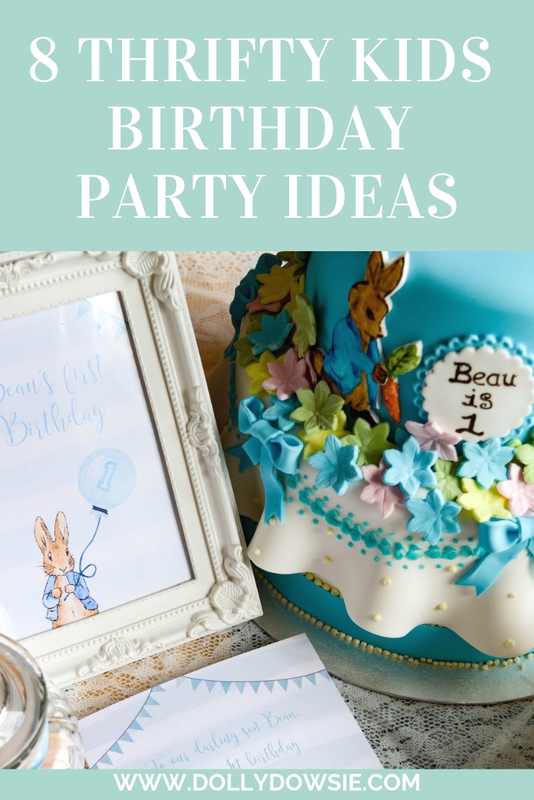 Lauren from Scrapbook Blog also had the ingenious idea of buying kids books in bulk from pound shops or immaculate ones from charity shops and carboots, and giving them as a party favour rather than a party bag - I personally love this idea as both of my boys love books. The best part of these crafts is you only need a few low-cost pieces of equipment, most of which you can easily find lying around your house, like paper plates or egg cartons. These crafts need not require anything more than a paper grocery bag, scissors, and coloring equipment you prefer. 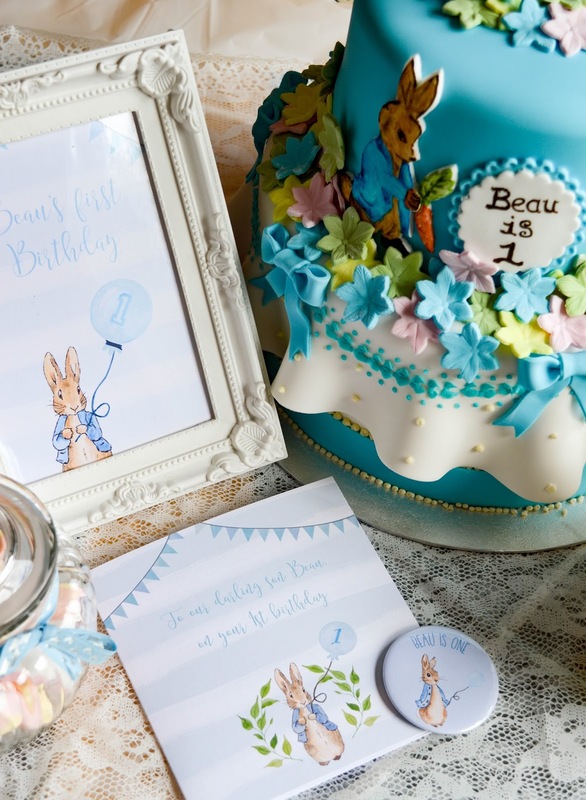 Craft making is a beautiful and engaging way to celebrate your children’s special day. And, the guests can take these crafts as nice souvenirs. Don't just be content with the ideas shared above. Your family and friends can help you with your saving too. Ask your family members and friends if they have some frugal birthday party ideas to share with you. Who knows, you might be blown away by few frugal ideas that'll you might not have considered before! All of these ideas for a kids birthday party would be fun and not to expensive. Will have to share with my daughter since she has two boys and one girl. The parties I host are always DIY parties. These are all great ideas and I love the idea of sticking to a budget when planning a party. Planning is always helpful and I do find that planning early generally makes more sense as it allows you to make decisions and look for sales. I almost always paper plates for birthdays, they are less expensive than the time and energy it would take to do those dishes. Great ideas. I once did a bird themed birthday party on a very low budget: used produce bags and filled them with string/yarn/feathers and other inexpensive nest making materials for birds to pick from. It was a party favor, they took them home and hung them on a tree in their yard. I like the idea of keeping kids parties simple and inexpensive. Its the togetherness that matters most. These are some great tips! We're having my daughter's birthday party at Main Event this year because it's easy. No clean up! Woohoo! What a great idea - using craft as entertainment. Kids absolutely LOVE that kind of party and then you get to bring your craft home as a favor! It's really important to set a budget for parties. I think these tips are perfect for people who would like to plan a good party without spending too much! These are all great tips! I have used free printables for many of my kids parties and they work perfectly. So appreciative of the bloggers that make them, it has helped me decorate but not go crazy with a party budget. These are great tips for keeping party costs low. Arts and crafts are excellent activities to keep the party guests entertained. We often have a craft the kids can make and take as a party favor. This is such a great post because so many people try to throw beautiful and fun birthday parties on a budget. We are in the midst of party planning right now and will definitely use some of your tips. These are all such great ideas! Birthday Parties can be so pricey, it is great to save money where you can. I just ask my sister for help. She is so good at throwing some thrifty parties. She uses most of these techniques! I just love your tips - so very helpful! Love sparing the trees. Also, that cake looks amazing! I love the idea of sparing the trees and using the technology instead. And easy-to-do craft related to a birthday theme can keep the guests entertained too. These are brilliant ideas!